Oh Snap! 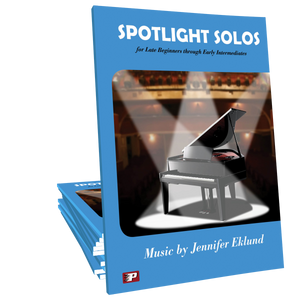 is a fun, jazz piano solo for early intermediates that incorporates finger snaps throughout. 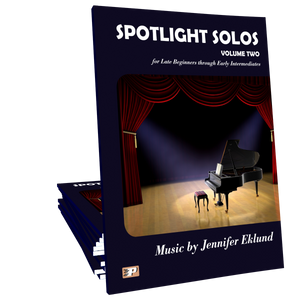 Music written by Jennifer Eklund and part of the Dog Days songbook. I JUST played this!! Can you say, “OH FUN!” Love it! Great piece for lots of reasons, but will be really great for boys for a recital piece in my studio! This fits in perfectly with my group studying the 12-bar blues — I am challenging them to improvise their own ending for the piece. Love it! Fabulously written piece incorporating fun syncopated rhythms & 12 bar blues. The snapping of fingers is frosting on the cake!! I love the attitude that shines through this melody line!! Well done Ms, Jennifer!! Love this little piece! sharing it with my student today! great syncopation and I like the “finger snaps” as well. Great job Jennifer! I hope to see this piece on NFMC festival list one day- great fun! My student did the SNAP piece and is going to play it on the Halloween recital. She can’t “snap” so she is tapping on the fallboard. It sounds very cool. It sounds COOL. Great piece. There are so many students looking for jazzy pieces to play, but find them to be beyond their levels. 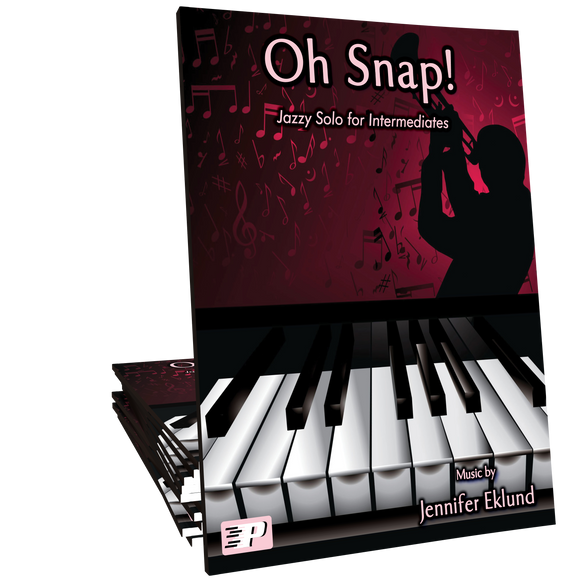 Oh Snap allows late beginners to experience swing in the most fun way possible. Jennifer’s use of patterns makes the music very easy for students to learn! My 11 year old student can’t get enough of this song. He performed this in our recital 2 months ago but at the end of every lessons he still throws in a a few lines of this gem. It has a great melody and a great song to help emphasis a great ‘jazz groove’. This will be a sure-fire audience pleaser at our spring recital! I bought both levels of this one because I knew I would have all levels wanting to give this one a try. Great jazzy feel and they can add some attitude along with it.